Governments at the state level offer grants for starting a small business. New entrepreneurs don't have to feel like they need to go it alone when trying to get their venture off the ground. The United States federal government doesn't provide grants to new business owners. It does provide financial support to non-profit organizations and schools. For educational institutions to qualify for funding, they must be involved in scientific research, technology development, or the field of medicine. One place that an entrepreneur can contact about available grants for starting a small business is their state economic development agency. Not all states offer grant programs, but it is worthwhile to contact the agency to see what sources of funding are available. When you are looking for grants for starting a small business, it pays to do your homework first. It takes time to apply for a grant. If the paperwork isn't filled out properly, your application may be rejected. Once you find a small business grant you are interested in applying for, go through the materials carefully. Not only do you want to make sure that you meet all the qualifications for the grant, but you also want to familiarize yourself with any supporting documentation that must accompany your application. Before you take the time to apply for a grant, make sure the program you are interested in is currently operating. Some information available online and in print may not have been updated recently. It's possible that the grant program has been cut back or eliminated and you want to be sure that funding is still being offered before sending in an application. Female entrepreneurs may be able to qualify for special grants offered by WomensBusinessGrants.com. This organization offers financial assistance to women who are starting their own business, as well as those who have been self-employed for a time and are interested in getting help to expand their companies. Business owners who are also visible minorities may qualify for grant programs geared specifically to their needs. Visitors to the Minority Business Agency web site will find a list of resources available to entrepreneurs presented by state. The list is updated regularly, so it pays to visit often to look for new additions. The IdeaCafe web site lists small business grants offered by that organization to deserving entrepreneurs. Registered members can access information about other grant programs available to business owners. Grants for starting a small business are available, and it pays to find out about your options before applying for one. This source of funding can be combined with a small business loan and the entrepreneur's own resources to give him or her the necessary capital to launch a new venture. 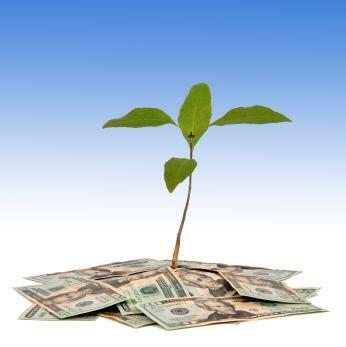 One advantage to getting a business grant is that the money doesn't have to be repaid. The business owner can use the funds to hire employees, invest in equipment, or for another purpose that makes sense for their business.